Join Linvilla Orchards on Saturday June 24, 2017 to celebrate their raspberry harvest. 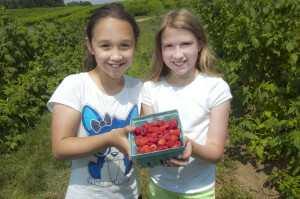 Stroll through Linvilla’s fields filled with delicious raspberries ready for the picking! Silly Joe will be taking the stage with high-energy songs and will keep all guests involved in the show. Keep a look out for their special characters and their jam girl Judi! Pay close attention as she shares her secrets to making the best jams in the tri-state area. It’s a fun-filled day celebrating the season of picking with activities the whole family can enjoy! Some other exciting things to do at the celebration include face painting, train rides, fishing at Orchard Lake, visiting the animals at The Barnyard, and enjoying fresh, delicious treats from The Bakery! The raspberry picking will run from 8 am. to 7 pm., and the entertainment starts at 11 a.m and runs through 4 pm. Visit www.linvilla.com for more information. And be sure to follow Linvilla on Facebook, Instagram, and Twitter. It’s that time of year again when every Wednesday, restaurants and bars across the city hold happy hour from 5-7 p.m. and offer $5 cocktails, $3 beers, and half-priced appetizer specials! 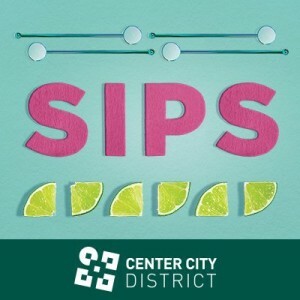 Sips has turned into a social scene, with hot spots like Marathon Grill’s Patio at 19th & Market and Pagano’s Market & Bar, both with DJ’s and drinks flowing. Sips makes working on Wednesday’s in Philly a little more bearable knowing the party’s just getting started after work. Featuring specials all over the city, your Wednesdays this summer will never be dull and you won’t break the bank! The party continues even after happy hour ends. Sips After Dark, hosted by Rumor continues the deals after 9 p.m. New this year is Center City Sips style. Participating beauty and fashion retailers are offering in-store discounts every Wednesday before Sips. Retailers like Blo Out Dry Bar are offering 10% off blowouts from 12-4pm, and South Moon Under offering 20% off one item if you mention Center City Sips. These are just two of many style participants that will help you go from the office to happy hour seamlessly. Looking for a boardwalk experience without leaving Philly? 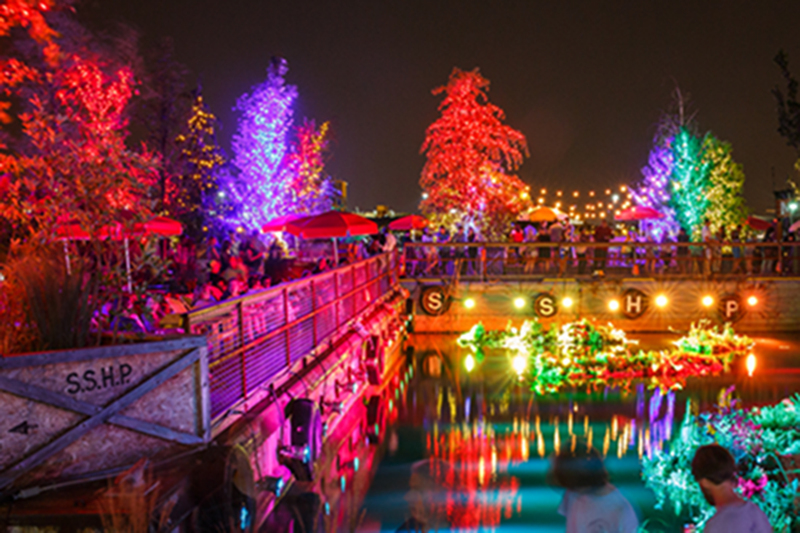 Skip the Jersey Shore traffic and make your way to Spruce Street Harbor Park! This urban beach features hammocks, life-sized games, delectable food, a floating dock, and LED lights brightening up the night sky. There’s so much happening each day and night as well as special events. You can reserve your own hammock in the private lounge area for any type of celebration, or go rollerblading nearby. There’s plenty of activities to do on the water too! Their vendors include Garces’ Harborside Pizza as well as Distrito Tacos, Franklin Fountain, Federal Donuts, and Chickie’s and Pete’s. Throughout the summer, there are various events for all ages. These events include Second Sunday Cinema, Art Star Pop Up Market, Waterfront Live Music Sessions, and Philly Beer Week. Spruce Street Harbor Park is open now through October 1st. Sunday through Thursday, the park is open from 11 am to 11 pm. Friday and Saturday, it’s open from 11 am to 1 am for your late night festivities. The park is located at 401 South Columbus Philadelphia, PA 19106.